I rarely think of what people will think of whatever I post on this blog. Most of all I try to write what I would like to read myself. It is not unlikely that I will loose my memory when I get older, and this blog is an investment in my own future. One day, when i can no longer remember what I have written here, I will read it and have the time of my life. It is surprising to see which items generate reactions, and even more surprising that some of my dearest posts don’t generate any reaction at all. One of the stories that I would never write again if I could do this Soundtrack over, is the one about Robert Delgado. I called the LP crap, but it is no crap, of course. I am just not very much into this seventies Euro-exotica anymore. When all of this music was new to me, I spend a lot of time searching for these records. And that was quite easy back then: I just had to go to the Waterlooplein with 25 guilders and came home with fifteen LP’s. The LP’s in this genre that I have not heard yet, are harder to find, but they also add little new to my audio experiences in this field. I prefer to explore other territories. But when I checked Subway-detour, the site of somebody who send in a comment to the Robert Delgado story, I ended up reading all kind of blogs about seventies exotica records. There are far more people interested in this kind of music than I realised! And they have collected a lot of LP’s that I have never heard. 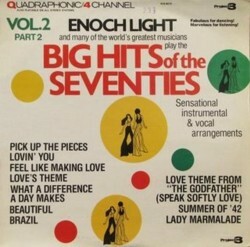 Some mp3’s of these LP’s were uploaded to share-sites. I tried a few, but again I realised that is no longer my cup-of-tea. Well, there are always a few exceptions, of course. 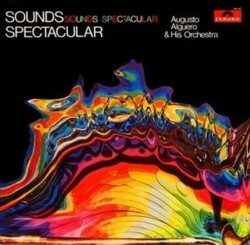 But nor enough to make me write about this kind of music in this Soundtrack. But if you want to read, see and hear more about Roberto Delgado, Hugo Montenegro, Frank Pourcel and other people that operate in the twilight zone between instrumental disco and elevator muzak, try Subway-detour, and also the links that are given on this blog. What I still love to collect are exotica 45’s. Among most collectors that have an interest in this music, 45’s seem to be far less popular than LP’s. But I like the surprises that you can find on 45’s. 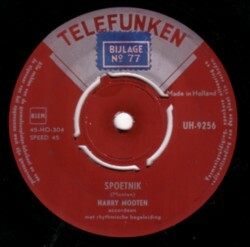 Here is a 45 by the Dutch accordion player Harry Mooten, who later specialised in very easy listening, but in the early days of his musical career he recorded stuff like this instrumental, called ”Spoetnik .